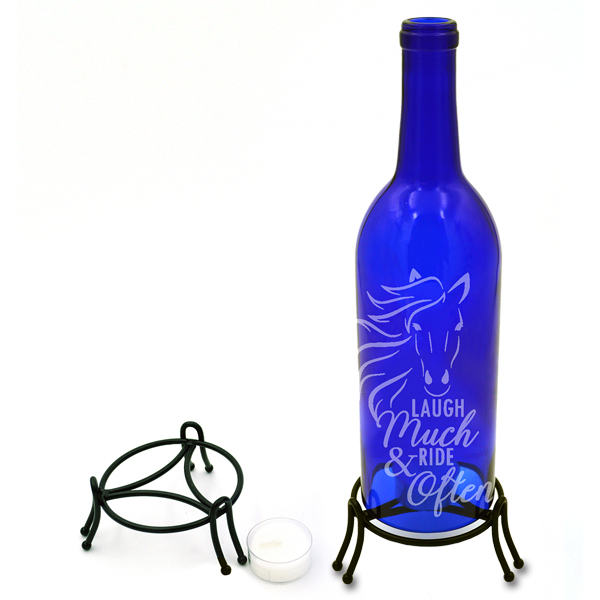 Each hand-etched wine bottle lantern quotes Debbie's signature saying, "Laugh Much & Ride Often" and is made proudly in the USA! 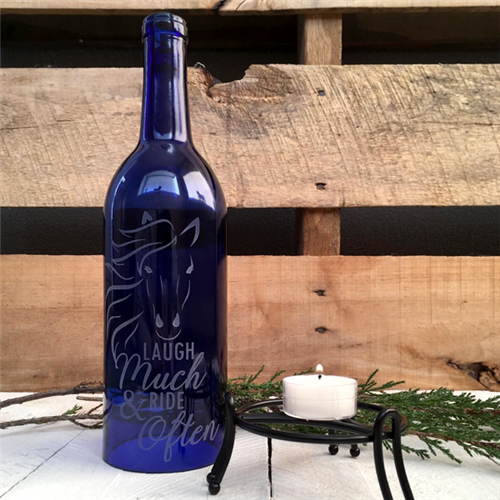 Created from upcycled wine bottles, the bottom of this bottle is removed and the edges are hand-ground and polished to a safe, smooth finish. This lantern includes a stand and candle and would be perfect for a cold winter night!